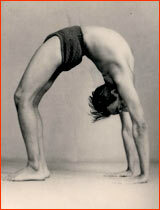 Iyengar Yoga is based on the teachings of B.K.S. 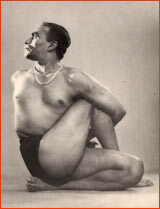 Iyengar, author of the classic yoga treatises Light on Yoga, Light on Panayama and Light On Life. Iyengar was born on December 14, 1918. He began teaching in Pune, India, in 1936 at the age of 18. Today, at 89, he continues to teach and inspire students all over the world. His daughter, Geeta, and his son, Prashant, are also accomplished teachers and authors of yoga texts. The Iyengar family’s teachings are deeply grounded in the yoga sutras of Patanjali, an ancient summation of the path of yoga considered to be at least 2,500 years old. B.K.S. Iyengar’s intense practice and over seventy years of teaching have produced significant innovations in the teaching of the art and science of yoga. To learn more about B.K.S Iyengar visit www.bksiyengar.com. B.K.S. Iyengar introduced props into the modern practice of yoga to allow all practitioners access to the benefits of the postures regardless of physical condition, age, or length of study. Props help all practitioners of all ages (including the most advanced) gain sensitivity to the use of effort and receive the deep benefits of postures held over significant time periods. Props are introduced from the beginning for students with specific physical limitations and gradually in regular classes to enhance personal understanding of a posture and its effects and to develop skill and confidence. Props include sticky mats, blankets, belts, blocks, benches, backbenders, wall ropes, sandbags, chairs, and other objects that help students experience the various yoga poses more profoundly. Props may be used in class to encourage students, bolster confidence, and create optimal body alignment. In the world of yoga, a prop is any object that provides height, weight or support. Ordinary every day objects such as walls, counters, chairs, stools, blocks, large books, bolsters, sofa pillows, blankets and straps are especially useful for helping beginners at midlife and older to reap the benefits of yoga. 1. Props help us conserve and replenish energy, which becomes increasingly important as we grow older and also during times of illness. 2. Props make difficult poses more accessible and safe. They allow even those who start late in life to hold poses for a long time, without strain. 3. Props help prevent injuries and help old injuries to heal. 4. People tend to stretch from their more flexible areas and rely on their better-developed muscles for strength. Props encourage weak parts to strengthen and stiff areas to stretch, thus balancing and realigning the whole body. 5. Props allow us to stay in poses long enough to release tension and experience deeper levels of relaxation. 6. Props help create space in the spine and in the joints, ever more important as we grow older and cope with issues such as osteoporosis, arthritis and joint replacements. 7. Props allow older practitioners with balance problems to practice the weight-bearing standing poses, helping them to remain independent and out of wheelchairs. 8. Props allow us to practice inverted poses safely and to reverse the downward pull of gravity, slowing down the aging process. The Iyengar method develops strength, endurance, and optimal body alignment, in addition to flexibility and relaxation. The Iyengar method develops self-awareness, intelligent evaluation, and profound inward reflection. Standing poses are emphasized at the beginning to build strength and ease of movement, increase general vitality, and improve circulation, coordination, and balance. Postures for deep relaxation are introduced from the beginning. Gradually, sitting and reclining postures, forward bends, inversions, backbends, twists, arm balance, and flowing sequences are introduced. The various asanas have different effects on the body. The basic postures taught at the beginning will build strength and stamina, and improve muscular tone, flexibility, and alignment. Practicing the postures reduces tiredness and soothes the nerves. It also trains and disciplines the mind so that concentration is improved. If you have particular physical conditions or are menstruating or pregnant, certain poses are not suitable for practice. Please consult with the teacher before the class begins, so that he or she can give you alternative postures to some that may be performed during the class. Advise your teacher of your concerns before class. Iyengar teachers are trained to modify and suggest alternative strategies (or postures) to enable you to practice safely and intelligently. Yoga is open to people of all ages and all levels of physical condition. Do not be put off from trying a yoga class because you feel that you are too old, too stiff, too fat, too thin, too tired, etc. Yoga has something to offer everyone.